During Girls Rock Camp this Summer, we had an influx of day old bagels being donated to us daily.It was awesome and fed a lot of hungry campers and volunteers. However, I ended up with most of the leftover, slightly stale bagels that we had cut in half for ease of serving. What was I to do with all these? 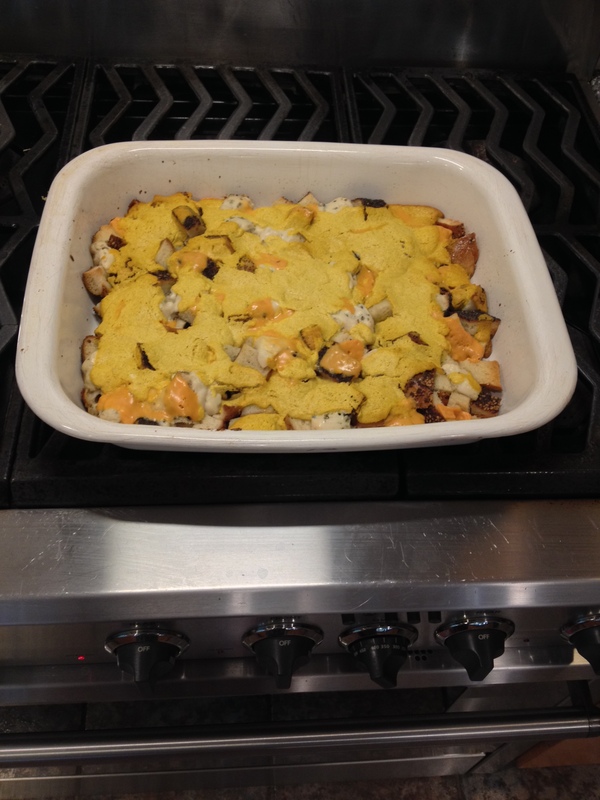 Well, considering I was already thinking about recipes for Vegan MoFo (in the very early stages, however) I thought: VEGAN BAGEL BREAKFAST CASSEROLE! And so, this beauty was born. 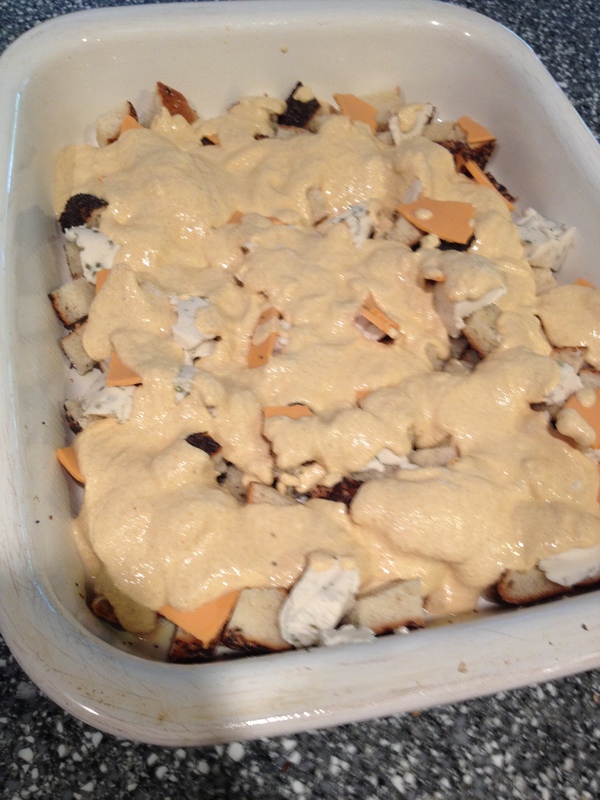 Cover with foil and place in the refrigerator over night. When ready to cook, preheat the oven to 350 degrees Fahrenheit, place in the oven for 45 minutes, uncover, and heat for another 5 minutes. A photo of the finished product! OMG, this is awesome! I’ll have to file this idea away in case I ever do a Seinfeld theme (remember the muffin tops?). 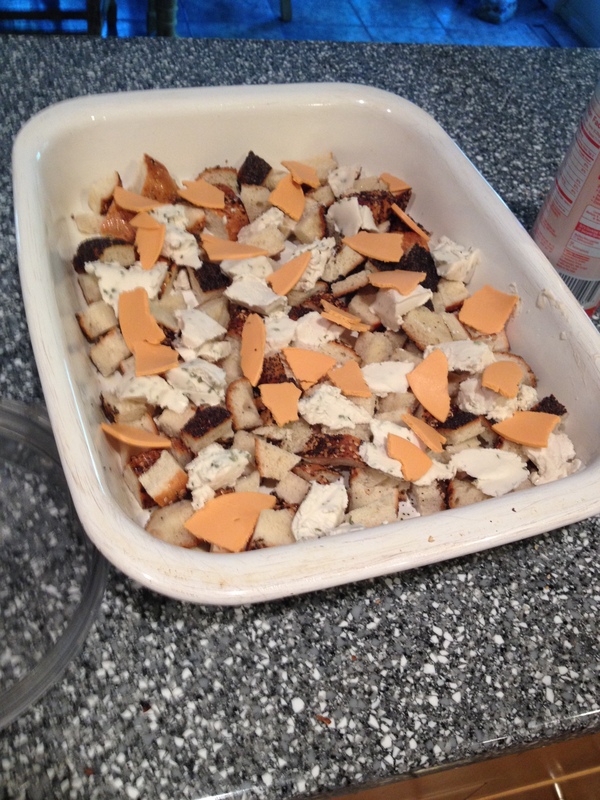 Okay bagel casserole sounds AWESOME! Such a great idea!! Thanks! 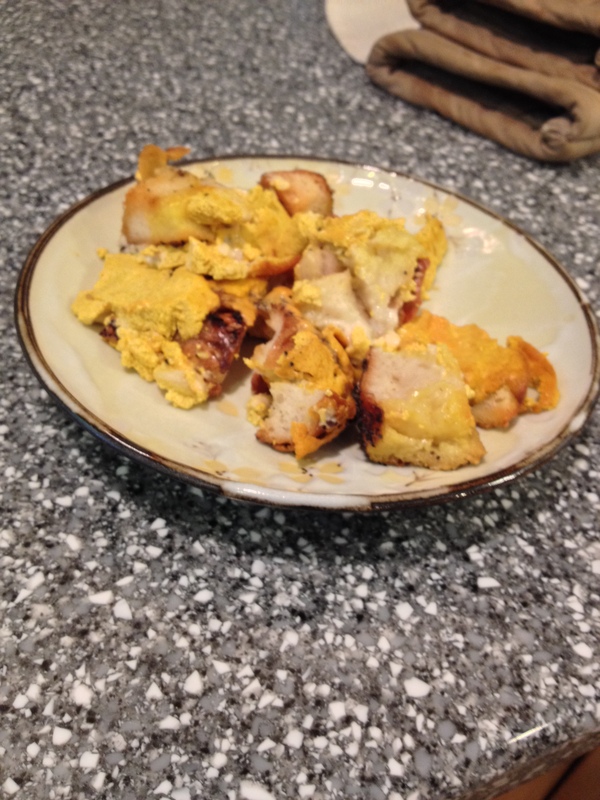 It was quite good, although I think maybe the cream cheese I used wasn’t the greatest for it…I think daiya or a homemade cashew cream cheese would be much better for it. Hahaha, this is amazing. Nice work using up those bagels! Years and years of dumpster diving and Food Not Bombs convinced me that a willingness to be creative enough to turn food surpluses into something edible — and even delicious — is the first skill every cook should learn. Wasted food drives me up a wall! Thanks! Wasted food is annoying, I agree. I still have some of those bagels in my freezer though. I should make this again soon.